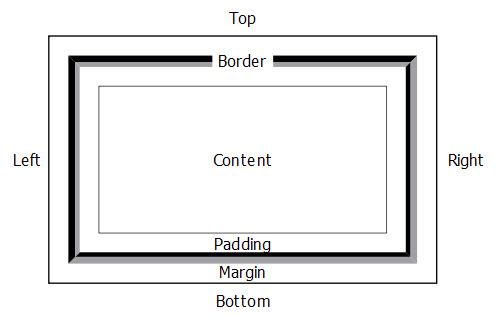 Any box object on a report design document can have margins, borders, and padding. 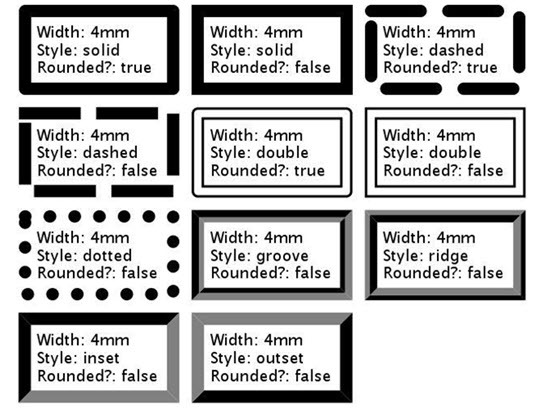 Borders are drawn outside the box and will increase the actual size of the box beyond the value specified in x-Size and y-Size. When a bordered item is positioned it behaves like a regular element, so that the attachment point appears at the specified position. Define the outer bounds of a box by using the X-Size and Y-Size properties.